Discussion in 'The Lounge' started by ICEBALL585, Jul 14, 2012. 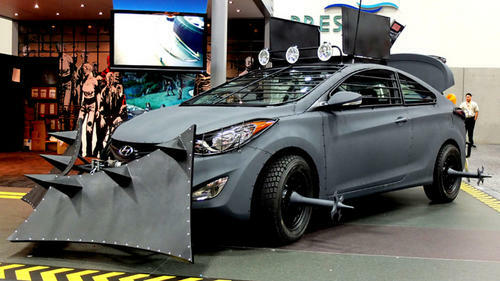 "Hyundai shows off its zombie-proof Elantra coupe"
They forgot to get rid of the door handles. Good call, zombies almosts always go for the doors first; they may be dead but they are not dumb. I would be looking for a vehicle with more clearance. 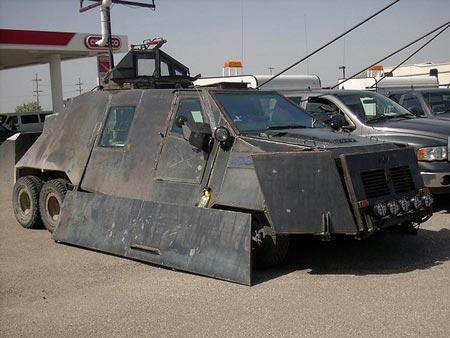 A car that low would get zombies stuck underneath it pretty quickly if you ran through a crowd. I don't think you want spikes on your zombie-mobile...don't want them impaled and going for a ride with you. It blocks the fvcking headlights and fog lights. It's covered with spikes. RETARDED. 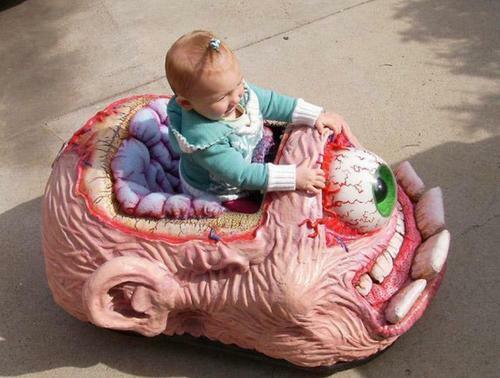 You don't want anything to make zombies and zombie parts stick to your vehicle. You don't need spikes to kill them....THEY'RE FVCKING DEAD. Oh...so are you gonna shred the wheels and body of the Greased Lighting car that zombie John Travolta is racing you in the storm canals of Los Angeles? No? Then take that stupid sh1t off. Like said above: mesh not bars. You don't want a single fvcking finger reaching into the vehicle. One scrape of zombie fingernail on your cheek and you might be fvcked. Why flat grey paint? Does that camouflage the car somehow? Or do you think it looks tough? You know what looks super tough in zombie infested cities? Not fvcking dying in a sh1tty Hyundai with 800 pounds of zombie stuck to the front of it.